I am very excited to say that I will be a part of this big event. Come see what I’ve been up to lately. THE FIRST 100 PEOPLE TO RSVP WILL RECEIVE A FLASHDRIVE AT DABL, LOADED WITH THE COMPILATION AND OTHER SURPRISES. Dane Arts Buy Local (DABL) is a program within Dane Arts that connects local artists and businesses through a series of pop-up art markets. 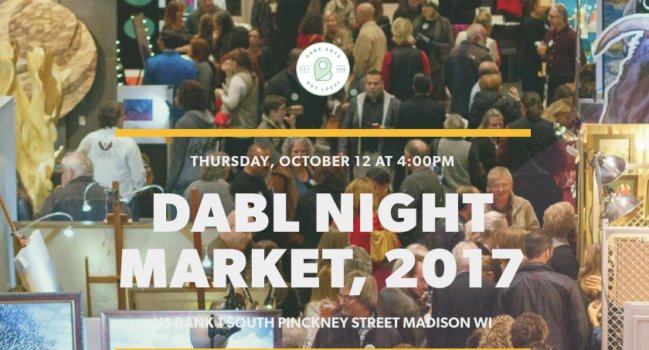 By combining unique vending opportunities with professional development, DABL directly supports the work of Dane County artists in recognition of their impact on the local economy. Nearly $100,000 has been generated for artists to-date.